Softline Sales Corporation is one of the most prominent and reliable Suppliers of Toner Cartridges. We cater to the varied requirements of the customers from all over India by offering Toner Cartridges that are sourced from world best after market compatible cartridge manufacturers and distributors in the industry. Our association with the well-known brands helps us in bringing forth a comprehensive gamut of Computers and Color Printers with latest technology, compact design, advanced features, efficient performance and affordable prices. We are working with adroit team members; they make sure that the Toner Cartridges are as per the International Standards and are free from any hardware or software critical issues. 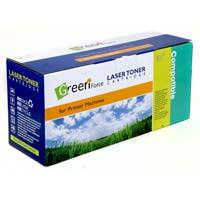 We are capable of delivering the Toner Cartridges in qualitative packaging material to circumvent any damage.